I see that Google has miniaturized its StreetView technology and you can now strap it to your back as you take a hike, allowing anyone to relive your walk using only their computer. Pretty neat stuff. I took a quick look and saw some of my favorite trails already covered — from a walk along Cal Barrel road in Redwood National and State Parks, to the giant sequoia of Yosemite National Park, to the Bright Angel Trail at the Grand Canyon, to a multi-day trek up Kilimanjaro. While its no substitute for the real thing, it does bring the parks and these distant places into people’s living rooms. Perhaps allowing you to explore a new trail, or relive a familiar one. It now has me thinking: if I could get hold of the kit for a few days, where would I take it and what would I share with the world? Top of my list would be the James Irvine Trail in Prairie Smith Redwoods State Park. I’ve walked that trail many times and never tire of it. To me, it has it all. From the open expanse of the elk meadow, through the verdant ancient redwood forest dripping with life, to the lively babble of the creek as it meanders through Fern Canyon before joining force with the Pacific Ocean. Where would you go and what would you share? Let me know! Cleanest restrooms in the country? California State Parks has new leadership and they have a plan. It’s called Brilliance in the Basics and one of the five goals jumped out at me. To have the cleanest restrooms in the country. Yes, you heard it right. To have the cleanest restrooms in the country! This is a big country. There must be hundreds of millions of restrooms. And I am pretty sure there are some pretty fastidious cleaners out there. Despite sequester cuts I am sure President Obama’s commode is well taken care of…. So I am poking gentle fun at this, but I also agree that it’s an important goal. It’s important to take care of the basics before you can strive for excellence. And when it comes to parks, unless you provide a clean restroom many people will be turned away: Maslow’s hierarchy of needs in action. The rest of the plan presents an ambitious set of goals and actions for the coming two years while a more comprehensive independent review of parks is undertaken. I was happy to see Parks committing themselves to partnerships, to resource protection and restoration, to interpretation and education, and to purchasing additional land when this will address pressing park needs. A lot of the strategic plan calls for developing further plans to prioritize work before actions are taken. I hope they are able to move through the planning phase rapidly and move to implementation as that’s when we’ll start seeing changes on the ground. To paraphrase a military aphorism: a decent plan well executed beats out the perfect plan that never hits the ground. Ultimately the challenge State Parks will face in the coming two years is they are highly unlikely to get additional public funds and the private donor community is already showing signs of fatigue. To be successful, State Parks will have to look first to how they can deploy existing resources in a more targeted manner. And this will present State Park staff and partners with some tough tradeoffs. In his forward, Major General Jackson encourages all park staff and volunteers to read and understand the plan. I would take this one step further and encourage the myriad of park partners in the public, private, and non-profit sector to read and support the plan. The State Park system has always been more than just the Department of Parks and Recreation, and in tough times it becomes ever more important to fully embrace the myriad of park partners. And if the next park restroom you visit isn’t up to your high standards, I am sure Major General Jackson would appreciate a call….. Recent news coverage of The National Trust’s “50 Things to do before you’re 11 3/4” campaign had me reaching for my bookshelves. I had picked up a copy of this fun book and list when I was last in England. I can’t help but contrast this to many parks here in California. How many times have you been to a park only to be greeted by a long list of what you cannot do? Don’t ride your bike, picnic, walk off trail, dive in the river, walk your dog, pick any flower or stick or cone, and do watch out for mountain lions, poison oak, snakes, and perhaps stinging bees. Makes our parks sound pretty dull, if not outright dangerous places to be. Is it any wonder that for many people parks are not a place they really think of going? Take the recent Yosemite plan that I wrote about recently. It proposes to remove bike rentals and an artists studio that sells paints and gives classes in the valley. How does either benefit the visitor or the park? Or look at our state park system in California that is on the verge of collapse after deep cuts and financial scandal. The legislature ordered a two year pause in park closures after the administration had announced the closure of one quarter of the system for budgetary purposes. The administration has a small window to remake California’s park system. I urge them to take a close look at what is happening in the United Kingdom at the National Trust. They have found a way to both protect precious resources, become financially self sustaining, and invite the public in to enjoy themselves. To me it all starts with welcoming people in, and that means having the courage to allow people in to find ways to make our parks fun once more. It’s good for the visitors, it’s also good for the parks who need a new cadre of strong supporters. Oh, and in case you are wondering. I am at 45 and counting…. Is this the smallest park? 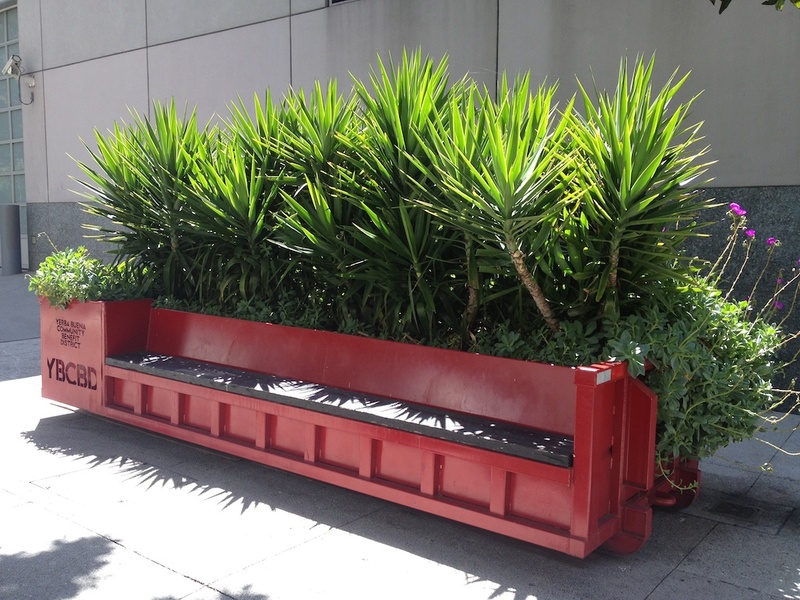 I met a colleague last week in downtown San Francisco and stumbled across this pocket park parked on the sidewalk. It had me thinking, what makes a park and how small can it be to still be a park? This one has the basic elements — greenery, a place to sit and watch the world go by, a splash of color, and even great design. It brightened my day and made me smile! 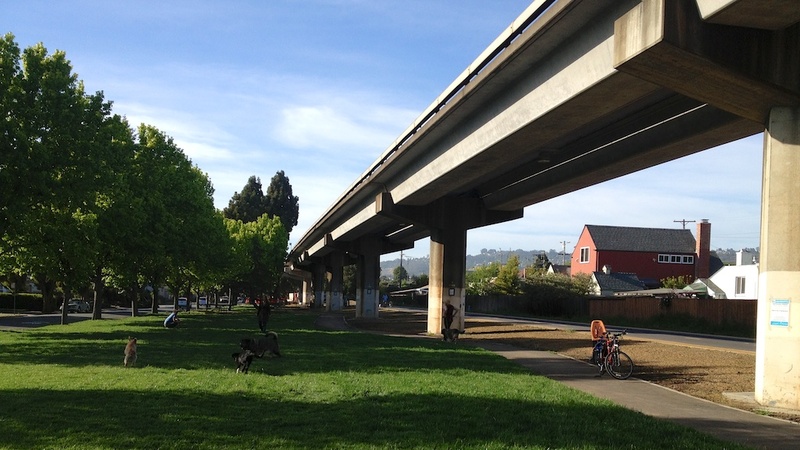 It’s sponsored by the Yerba Buena Community Benefit District and part of the burgeoning movement to bring parks to otherwise drab urban spaces. Check out Park(ing) Day for a great example that started in San Francisco in 2005 and has now spread to 35 countries and 975 parks. So how small can a park get? This has to be a contender — but perhaps you have seen smaller ones. Let me know!